Despite its 5-Star Morningstar rating, MFS Mid Cap Growth Fund (OTCAX and more) is a mutual fund investors should avoid. The managers’ process for choosing investments fails to find high-quality undervalued stocks. Research into the fund’s holdings reveals stocks with poor risk/reward compared to the benchmark. 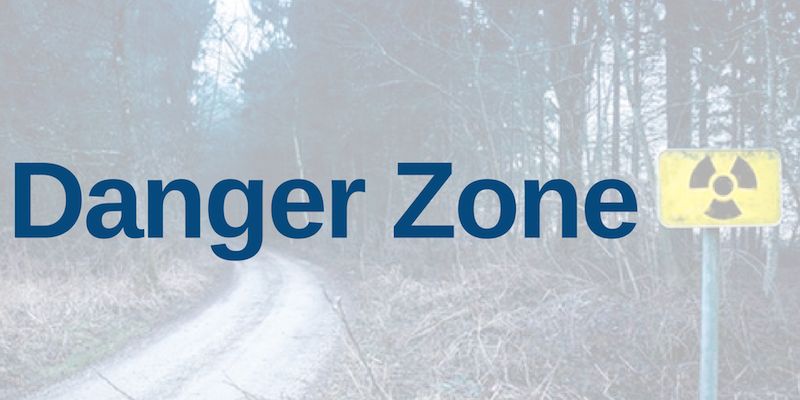 Throw in above average fees, this fund lands in the Danger Zone. Per Figure 1, OTCAX and EAMCX receive a 5-Star rating from Morningstar and OTCBX and EBCGX receive a 4-Star rating. All four classes receive a “Strong Buy” rating from Zacks. When viewed through our Predictive Risk/Reward Fund Rating methodology, all four classes earn a Very Unattractive rating. MFS Mid Cap Growth Fund also has eight additional share classes that earn an Unattractive rating. The only justification for a mutual fund to charge higher fees than its ETF benchmark is “active” management that leads to out-performance. A fund is most likely to outperform if it has higher quality holdings than its benchmark. To assess holdings quality, we leverage our Robo-Analyst technology to drill down and analyze the individual stocks in every fund we cover. Per Figure 2, MFS Mid Cap Growth Fund’s asset allocation poses greater downside risk and holds less upside potential than its benchmark, the iShares Russell Mid Cap Growth ETF (IWP). OTCAX allocates only 2% of its portfolio to Attractive-or-better rated stocks compared to 18% for IWP. On the flip side, OTCAX’s exposure to Unattractive-or-worse rated stocks is much higher, at 56%, than IWP, at 40%. Eight of the mutual fund’s top 10 holdings receive an Unattractive-or-worse rating and make up 18% of its portfolio. In total, each of the top 10 holdings receive a Neutral-or-worse rating and make up 22% of OTCAX’s portfolio. Given the unfavorable allocation of Very Attractive vs. Very Unattractive stocks relative to the benchmark, MFS Mid Cap Growth Fund appears poorly positioned to generate the outperformance required to justify its fees. We’ve shown before that earnings growth has little correlation with creating shareholder value, and the other factors the fund uses to select stocks have not led it to quality stocks, either. Instead, the fund has allocated to stocks less profitable and more expensive than its benchmark and the S&P 500. Figure 3 contains our detailed rating for OTCAX, which includes each of the criteria we use to rate all funds under coverage and shows the fund’s poor portfolio management. These criteria are the same for our Stock Rating Methodology, because the performance of a fund’s holdings equals the performance of a fund after fees. The return on invested capital (ROIC) for OTCAX’s holdings is 10%, which is below the 14% earned by companies held by IWP and the 18% earned by SPY holdings. The -1% free cash flow yield of OTCAX’s holdings means managers do not allocate to companies generating positive cash flows and is less than the 0% earned by IWP stocks and the 2% earned by SPY stocks. The price-to-economic book value (PEBV) ratio for OTCAX is 4.8 compared to 3.8 for IWP and 2.7 for SPY. Our discounted cash flow analysis reveals an average market-implied growth appreciation period (GAP) of 64 years for OTCAX holdings compared to 51 years for IWP and 37 years for SPY. 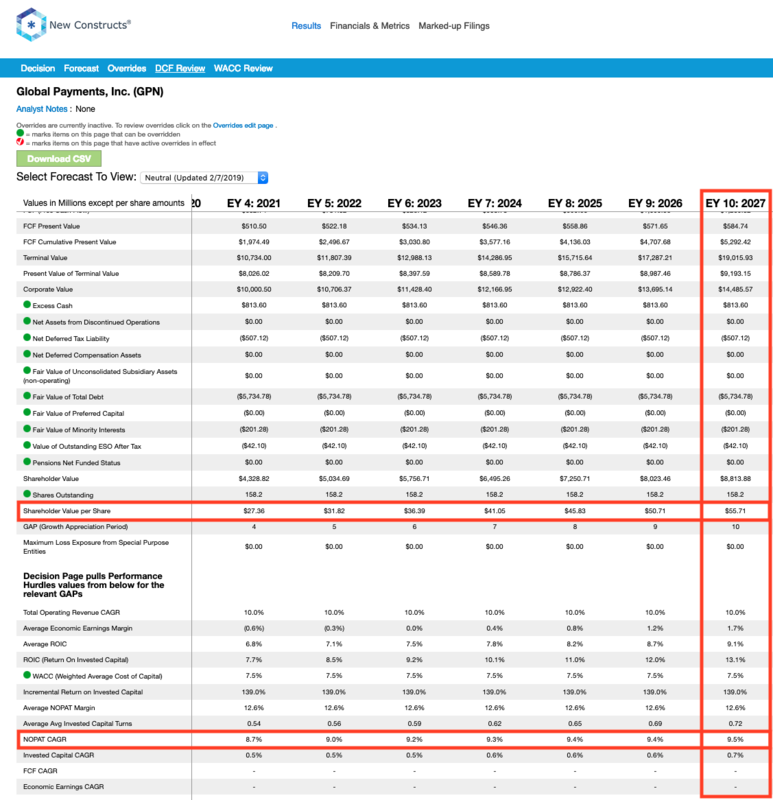 This analysis reveals that the companies held by OTCAX earn inferior cash flows (as measured by ROIC) but are valued at a premium (as measured by FCF yield, PEBV, and GAP) when compared to the benchmark and general market (S&P 500). Global Payments Inc. (GPN: $114/share) is one of OTCAX’s top holdings and perfectly illustrates why relying on metrics such as earnings can lead to bad stock picks. From 2015-2017, GPN’s GAAP net income grew 30% compounded annually. Its TTM net income is up 32% over 2017. Misleading Earnings Get Missed. However, GPN’s economic earnings, which account for items hidden in the footnotes & MD&A of company filings and changes to the firm’s balance sheet, fell from $135 million in 2015 to -$42 million in 2017. TTM economic earnings of -$72 million are down 70% over 2017, per Figure 4. Despite the deterioration in the true profits of the company, shares remain significantly overvalued. Dangerously High Valuation Gets Missed. To justify its current price of $114/share, GPN must maintain NOPAT margins in line with its 5 year average (12%) and grow NOPAT by 15% compounded annually for the next 11 years. See the math behind this dynamic DCF scenario. This scenario also assumes GPN can double its ROIC after years of decline. Given GPN’s shareholder destruction since 2015 (as seen in Figure 4) we think these expectations are overly optimistic. Even if we assume GPN can maintain average NOPAT margins (12%) and grow NOPAT by 10% compounded annually for the next decade, the stock is worth only $56/share today – a 51% downside. See the math behind this dynamic DCF scenario. At 3.55%, OTCAX’s total annual costs (TAC) are higher than 91% of the 339 Mid Cap Growth style funds under coverage. 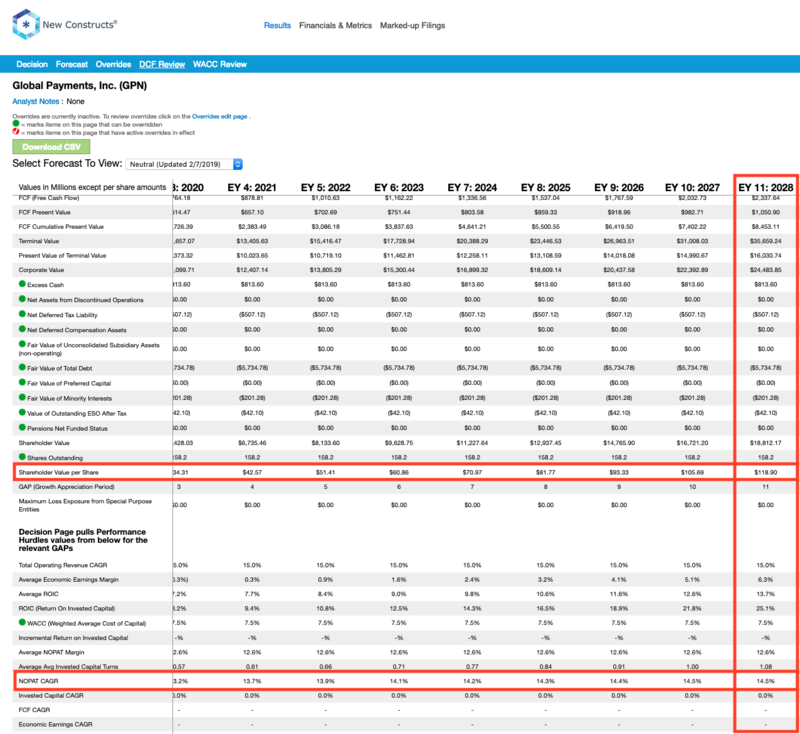 For comparison, the average TAC of all Mid Cap Growth mutual funds under coverage is 1.79%, the weighted average is 1.59%, and the benchmark ETF (IWP) has total annual costs of 0.28%. Per Figure 5, MFS Mid Cap Growth Fund’s expense ratios understate the true costs of investing in this fund. Our TAC metric accounts for more than just expense ratios. We consider the impact of front-end loads, back-end loads, redemption fees, and transaction costs. OTCAX must outperform by an average of 3.26% annually. EAMCX must outperform by an average of 3.32% annually. EBCGX must outperform by an average of 2.80% annually. OTCBX must outperform by an average of 2.74% annually. An in-depth analysis of OTCAX’s TAC is on page 2 here. When we take into account its load, which adds 2.19% to its total annual costs, we see that OTCAX has failed to outperform its benchmark and does not justify its higher fees. Figure 6 has more details on the quarter end average annual total return of OTCAX and IWP. Given that 56% of assets are allocated to stocks with Unattractive-or-worse ratings, OTCAX looks likely to underperform moving forward as well. Smart fund investing means analyzing the holdings of each mutual fund, which in the past was nearly impossible for the average investor. Instead, investors were content to buy a fund based on past performance, but studies show such a strategy does not necessarily lead to outperformance. Only through holdings-based analysis can one determine if a fund’s methodology is sound and actually allocates to high-quality stocks. Holdings-based analysis is no longer impractical for the average investor. Through our partnerships with TD Ameritrade and Interactive Brokers, investors can access our research and enjoy the sophisticated fundamental research that Wall Street insiders use. Our machine learning and Robo-Analyst technology helps investors navigate the fund landscape by analyzing the holdings of 7,500+ ETFs and mutual funds under coverage. This diligence allows us to cut through the noise and identify potentially dangerous funds that traditional backward-looking fund research may overlook, such as OTCAX. This article originally published on February 11, 2019.